On his return to Canada, teaching assignments took him first to Newfoundland, then to Vancouver, where he created the World Soundscape Project. In 1975 Schafer resigned from university teaching and for many years has devoted himself full time to writing and composing. My Life on Earth and Elsewhere continues the story of his domestic and international musical adventures up to the present day. 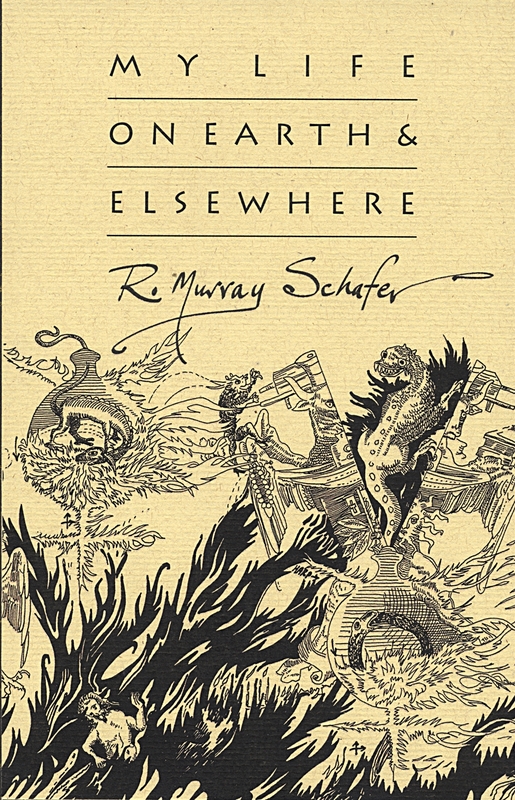 R. Murray Schafer is a brilliantly talented painter, musician, and writer--and he knows it, his ego exposed in this otherwise wonderfully written memoir. My Life on Earth and Elsewhere traces his growth as an artist, beginning with dreamlike scenes from his early childhood and teenage years but focusing on his travels through Europe as a twenty-something, in the 1950s and 1960s, and his career as a freelance composer and educator. Blind in one eye since birth, Schafer chronicles the events he finds in his memory with beautifully poignant language, scattering his sketches, paintings, and photographs of his theatrical concertos throughout the book. Many of Schafer’s encounters--namely tea with Ezra Pound while the poet was in a psychiatric hospital and a business meeting with Muppets creator Jim Henson--seem almost too fantastic to be true; and the language he uses to describe his experiences exudes self-absorption. Excerpts from Schafer’s diary and letters further create an air of pomposity, more prominently when he mentions his proclivity to keep a diary while immediately thereafter revealing that he finds "it interesting from time to time to read extensive passages from other diaries, especially those of great artists." 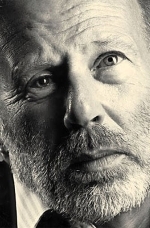 He writes with a voice that assumes everyone wishes to listen. Additionally, Schafer revels in his successes while often blaming errors in his work and actions on others or on circumstance; his acknowledgments of personal flaws appear only in the form of guilt--for instance, when he leaves his first wife for another woman, and then leaves his second wife for yet another woman. A reader may doubt that Schafer dined with Pound because of the artist’s ego conveyed through his writing style: "At this point I was perhaps the only Pound enthusiast who had seen the conclusion of the great work [Cantos]. Can you imagine how many EP scholars contacted me over the next few years to find out how the Cantos ended?" And concerning a performance of his own work, he writes that, "I had been informed that the new work would have the distinction of being first on the program ‘when the audience was fresh.’ I determined to confuse them by agglutinating my piece to the next piece on the program so that there would be no opportunity to open the doors between numbers, and latecomers would have to wait outside until the intermission." Though his self-inflation occasionally detracts from the authority of the text, Schafer’s memoir is engrossing, memorable, and offers both insight into the inner life of an artist and inspiration for those striving for a career in the arts. Most fascinating are the events detailed during the author’s nomadic years in Europe and his time as a sailor on a Great Lakes freighter. His scholarly work as a professor and composer in Canada, where he currently lives, offers a deeper glimpse into his artistic and philosophical processes. My Life on Earth and Elsewhere may bring readers to Schafer’s music, and it will surely illustrate how experiences shape passions and passions shape people. ‘For any serious fan of R. Murray Schafer, his autobiography My Life on Earth & Elsewhere will undoubtedly be a delightful read; for those who are partially aware of Schafer’s prolific musical output, as well as his many writings and educational philosophies, reading this book will provide an interesting insight into the multi-faceted world of Canada’s best-known composer.